It snowed in Hutchinson, Kansas, this morning and it continues to do so into the afternoon. It's 16 degrees right now, up from about ten at this time yesterday. 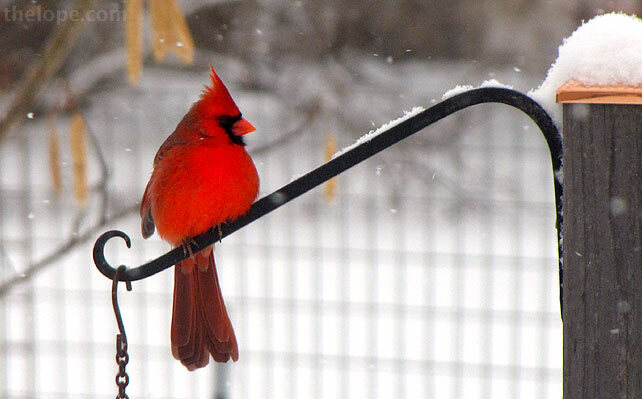 Inclement weather doesn't seem to bother this male cardinal. 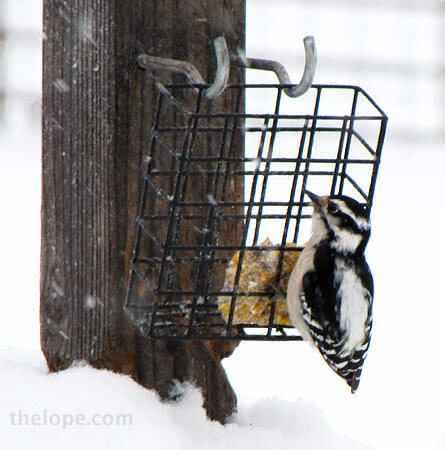 A female hairy woodpecker feeds on suet - raw beef fat, in this case. Woodpeckers exist on a diet of insects and grubs and so prefer a higher fat bird food than seeds usually provide. 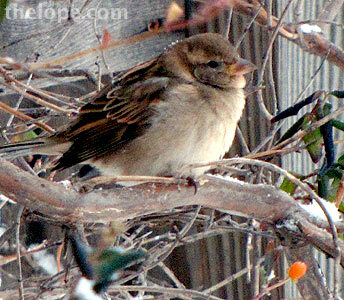 A sparrow - a friend of mine calls these LBJs, for "little brown jobs" - rests in coral honeysuckle on a trellis. It's so cold that the snow isn't sticking much, but it sure is pretty, a seen in front of this barn.